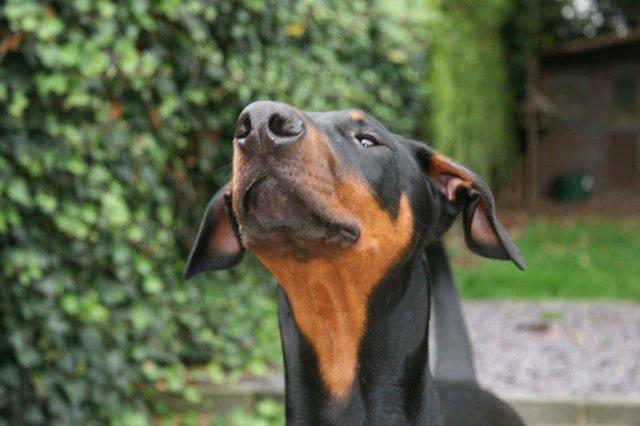 AKA ‘Sharhystes Dark Seducer’, Lupo was born on the 1st April 2010 and is still as much of a fool as the day we brought him home at 8 weeks old. He is best described as very smart, yet stubborn and such a goofball. 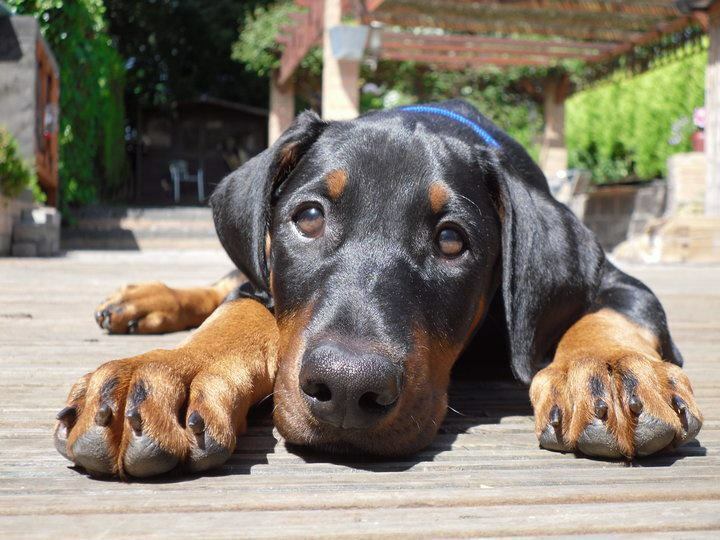 As many Dobermann owners would understand during waking hours he is our constant shadow and therefore the inspiration behind the name Velcro Dog. When we decided the time was right to own a dog – we’d bought our own house, had a bit more spare cash and really didn’t care if the carpet got trashed, we went to great lengths to find the perfect breeder. After two trips to Cumbria, and countless trolley dashes in every pet shop within ten miles, we thought we knew what we were in for. In the past five years Lupo has eaten his way through numerous so-called indestructible toys, chased every form of wildlife from our garden, including bees, and taken up a huge portion of our corner sofa. But he’s made us laugh everyday, made sure we get a daily lung full of fresh air and exercise and ensured everyone he meets falls in love with him. Thanks Ali. Kiki is a great name! 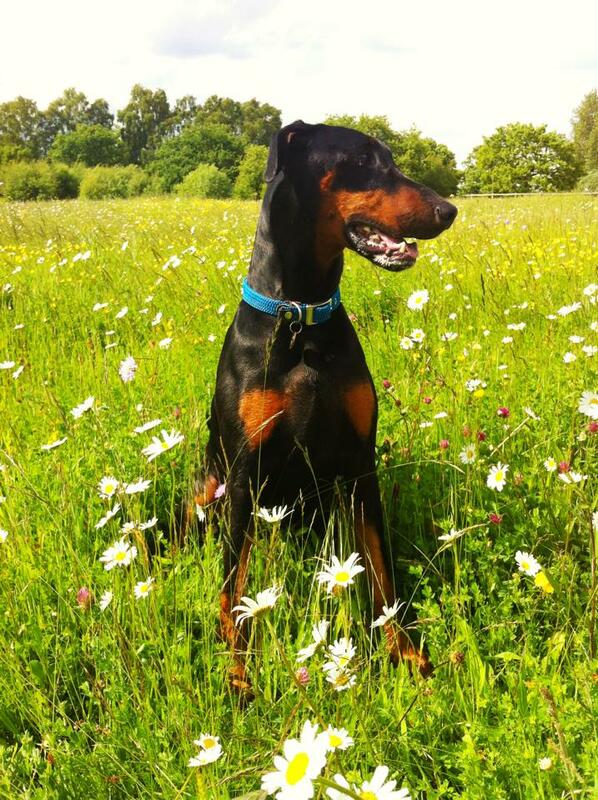 I have taken this from Sheila’s website……..
We lost our first Doberman “Tyler” in March this year and he left the most enormous hole in our lives and our hearts. Thanks to Sheila, she helped fill this gap by allowing Riley Pup to live with us. He is hard work and so demanding but worth every minute of it.. hell we love him so much, nothing can beat the love you get from a doberman.